Now what do we have here? It's the new Dell Duo, which looks like a normal 10-inch netbook until you notice that the screen rotates around to turn it into a tablet. You simply swivel it around within its frame to make the transformation. It's certainly one of the more interesting computer designs we've seen in a while. 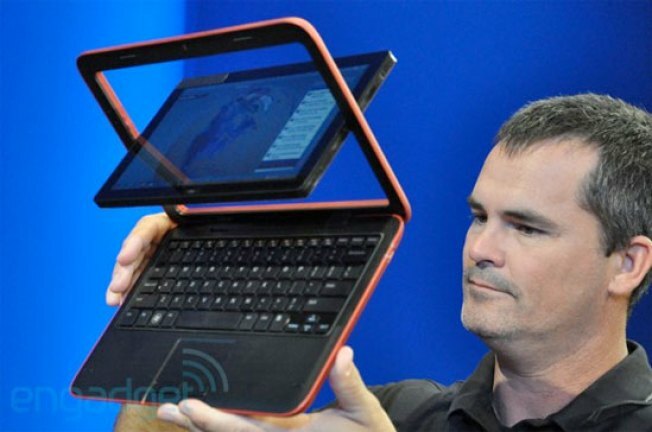 The Duo is powered by a dual-core Atom processor and sports Windows 7 Premium. There aren't too many other details, and we don't know when this will be release or for how much, but it's certainly one to keep your eye on. Although I can't help but wish that the entire screen popped off completely to become a tablet, but maybe that's asking too much.